View is a pretty awesome product, but it can’t solve all desktop deployment scenarios. 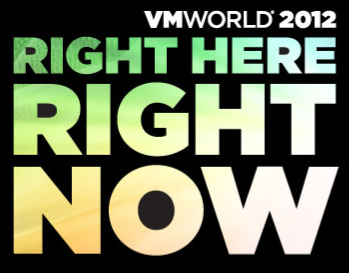 We saw VMware Mirage announced and demoed at VMworld 2012 San Francisco. Now, new validated designs from Nimble Storage, Cisco (on UCS-E) and other partners for ROBO desktops using View and/or VMware Mirage to deploy and manage remote desktops. With Mirage, remote offices lacking resources or connectivity can be managed with the ease of a View desktop, without the constraints of connectivity and datacenter technologies. More on the ROBO solution here: http://blogs.vmware.com/euc/2012/10/using-vmware-mirage-in-remote-and-branch-offices.html and here: http://blogs.vmware.com/euc/2012/10/better-management-eucremote-branch.html. vCloud Automation Center 5.1 – Based on DynamicOps (VMware acquisition in July 2012), vCloud Automation Center provides a solution for hybrid cloud governance through policy-based provisioning and cross-cloud automation of cloud resource request management. vCloud Automation Center can manage VMware vSphere & vCloud environments, Microsoft Hyper-V and Azure, and public clouds like Amazon EC2. The product is not yet available, but will be coming in Q4. VMware IT Business Management Suite 7.5 – The VMware IT Business Management Suite gives customers transparency into the cost, quality and value of cloud services, providing a business context for IT activities and enabling fact-based decisions aligned with business goals and ultimately transform to become a broker of IT services. Availability is expected in Q4 2012.
vFabric Application Director 5.0 – standardizes and accelerates how customers model and deploy multi-tier applications to any cloud through easy-to-create blueprints with standardized, pre-approved OS and middleware components. While optimized for VMware vCloud Suite-based clouds, vFabric Application Director 5.0 will make it possible for customers to use the same blueprints to deploy applications across multiple virtual and hybrid cloud infrastructures, including Amazon EC2. Availability is expected in Q4 2012. With this release, VMware will continue to expand vFabric Application Director application support to include all Microsoft packaged applications (Exchange, SQL Server, SharePoint) as well as custom applications (Java,.Net, Ruby on Rails). VMware vFabric Application Director will also help simplify ongoing application maintenance tasks such as code and configuration, and it will support auto-scaling of applications in response to changing business needs. vCenter Operations Management Suite 5.6 – Enhancements to the VMware vCenter Operations Suite 5.6 continue to deliver on VMware’s strategy to converge management disciplines, incorporating new compliance views into the operations dashboard to help customers proactively enforce compliance with IT policies, security guidelines and regulatory requirements. New, customizable, group-based views will enable IT operations to more closely align with business priorities. VMware vCenter Operations Management Suite 5.6 will also include VMware vFabric Hyperic application-level monitoring to help customers proactively manage the health of business-critical applications, including Microsoft SQL Server, Exchange, SharePoint, Windows OS as well as Oracle Database and custom Java applications. vCOps will be able to monitor machines running across a hybrid could, including VM’s on Amazon and Azure. A new vCOps edition is now available – vCOps Manager Foundation. This is FREE in all vSphere editions and provides vSphere Health and Performance monitoring, alerting, and trending beyond what vCenter can provide. The Foundation edition cannot monitor VM’s, and cannot do Capacity Optimization, Chargeback, Configuration Management, etc. Availability is expected in Q4 2012.
vCloud Connector 2.0 – a bridge that enables customers to transfer VMs and applications across vSphere and vCloud Director private cloud environments as well as public clouds from VMware vCloud Service Providers. vCloud Connector 2.0 will help make it possible to extend both networks and workload catalogs across hybrid cloud environments – in effect, extending the logical boundaries of the datacenter – without the need for reconfiguring networks or settings when moving workloads. Also, distributed teams will be able to coordinate their development efforts by ensuring that everyone has a single, synchronized workload catalog that spans across the cloud environment. vCloud Connector will come in two editions – Core Edition and Advanced Edition. Core comes free with any vCloud Director purchase, Advanced is packaged with all editions of the new vCloud Suites. Availability is expected in Q4 2012. All of the new and updated products above are now included in the new vCloud Suite. vCloud Suite Advanced picks up new features of vCOps 5.6, including vSphere change and configuration management, Application Awareness, and Chargeback. vCloud Suite Enterprise gets everything: vCloud Automation Center, vFabric, vCOps all features (including Configuration Manager, Storage Adapters for Symmetrix, VMAX, VNX, NetApp). Note: vCloud Suite Editions are licensed per CPU.